Perfectly cast and handsomely staged, the Melbourne professional premiere of exquisitely romantic gem The Light in the Piazza shimmers with radiant beauty. 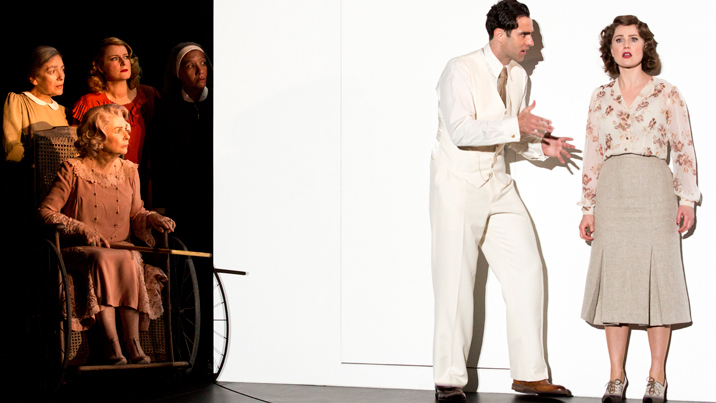 The rare adult musical that treat its audience’s intelligence with the utmost respect, 2005 Broadway hit The Light in the Piazza has an operatic quality to the elegance and splendour of its score. In a notably strong Broadway season that also produced Spamalot, The 25th Annual Putnam County Spelling Bee and Dirty Rotten Scoundrels, the six Tony Awards for The Light in the Piazza included Best Score for Adam Guettel, grandson of Richard Rodgers. Building upon the deceptively simple premise of a mother and daughter holidaying in Italy, the musical builds to examine the inexorable power of love and the rewards to be gained by approaching new experiences with courage and an open mind. The love story belongs to wide-eyed young beauties Clara and Fabrizio, but the heart of the story lies in Margaret Johnson’s transformative journey of self-discovery as she escapes a loveless marriage and a repressive genteel society. Director Theresa Borg shows an impeccably assured hand in securing honest, empathetic performances from her cast and telling the story in a captivating and affecting manner. Lovers of the sumptuous cast recording may be unaware of the delicious humour in the show. Based on the 1962 movie, which was in turn based on a 1960 novel, Craig Lucas’ book establishes seven richly drawn lead characters and explored the cross-cultural conflicts that arise between visiting wealthy Americans and a conservative Florentine family. 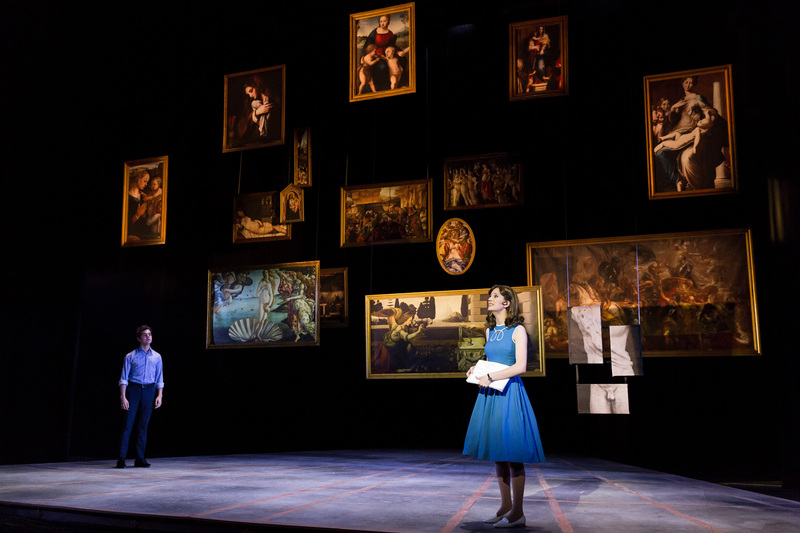 Following their high standard set with Passion and City of Angels, Life Like Company has mounted a handsome staging, with production values that belie the all too brief season. 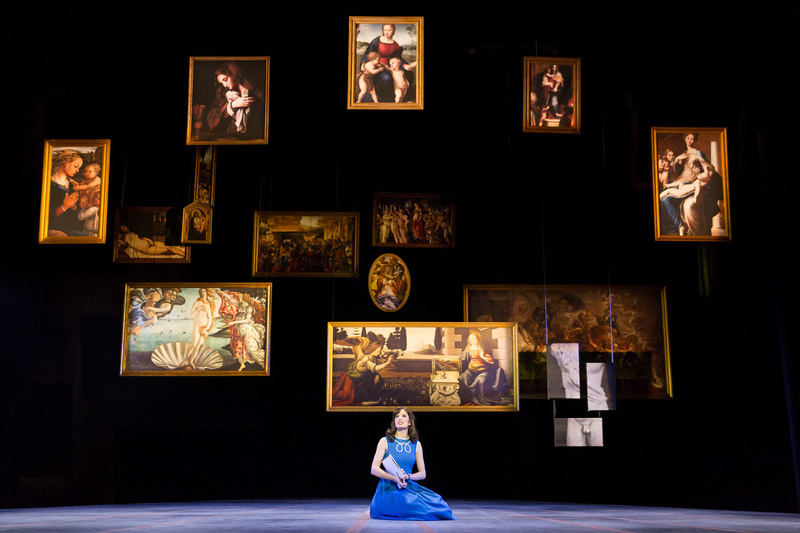 Set designer Tom Willis cleverly represents the Johnsons’ travels with an ever-changing collage of oil paintings. Willis also contributes the lighting design, which paints streetscapes and intimate rooms to striking effect. Lighting cues for Margaret’s candid asides to the audience are handled with crisp accuracy. Complementing the grand stage design is the gorgeous 1950s fashion parade by Kim Bishop. Bishop has excelled himself, not just with the stunning designs but also with the pristine construction of so many truly beautiful costumes. Margaret and Clara must have quite the set of trunks, such is the extent of their glamorous wardrobe. Highlights include Margaret’s orange sherbet pleated chiffon dress and her final dark green brocade gown with shimmering black bolero jacket. Fabrizio’s mother is chicly attired in dramatic black, and his sister-in-law Franca maintains a curvy silhouette in siren red. 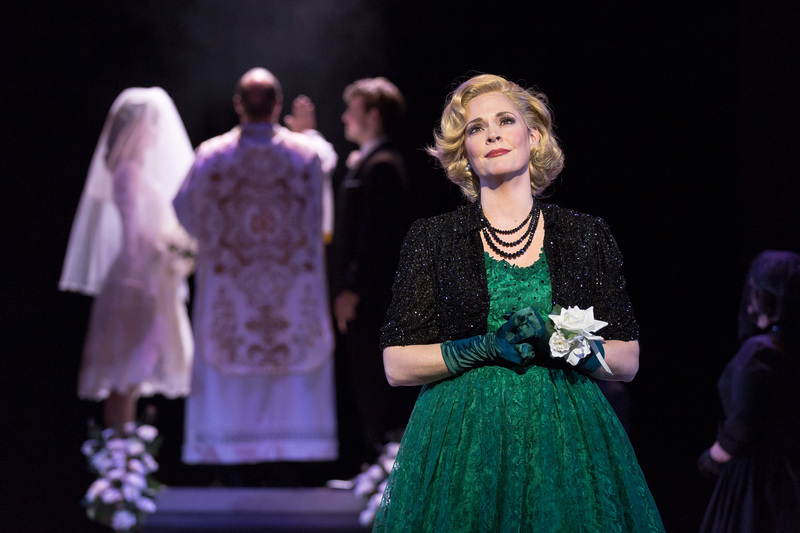 The score of The Light in the Piazza also won a Tony Award for Best Orchestrations, performed superbly here by an orchestra of 16 musicians lead by exacting musical director Vanessa Scammell. Extensive use of the harp conveys the sense of rapturous wonder on stage. Sound design by Andrew Poppleton balances orchestra and singers for excellent clarity. The musical will be unfamiliar to many theatregoers, so it is a blessing that Guettel’s lyrics are heard so clearly. 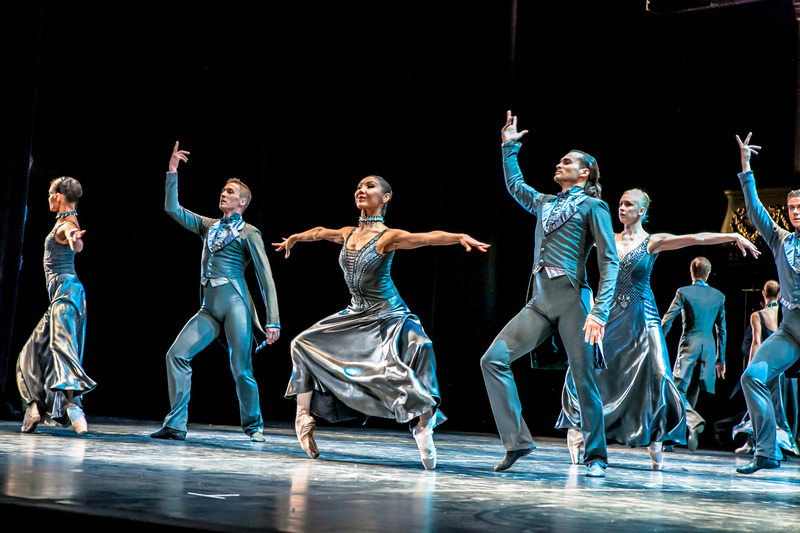 Borg’s carefully considered use of a tight ensemble to suggest ongoing life in Florence is ably supported by choreographer Jo-Anne Robinson. Robinson also stages the delightful scene in which Fabrizio’s caddish brother Giuseppe schools him in dirty dancing. The production is well served by the discovery of two thrilling young music theatre talents to play dreamy lovers Clara and Fabrizio. Genevieve Kingsford has an exhilarating soprano with a gorgeous crystalline tone. Kingsford’s delivery of Clara’s I wish song “The Beauty Is” sets the standard for an evening of wonderful singing. An equally strong actress, Kingsford portrays Clara’s nervy meltdowns with a chilling sense of truth and a complete absence of melodrama. 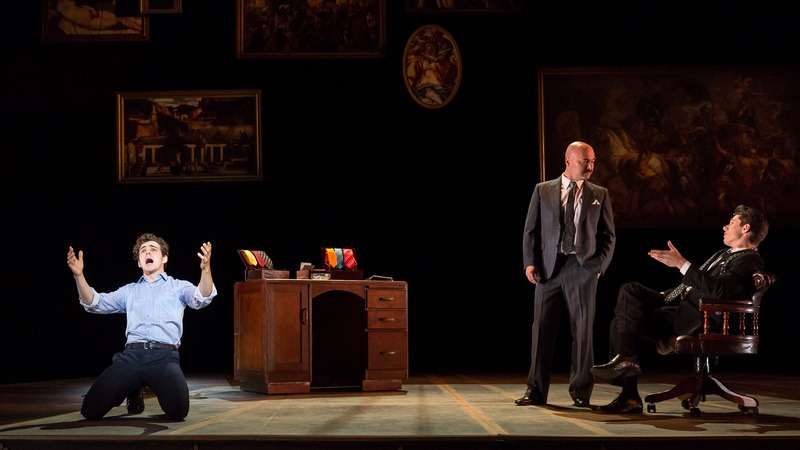 Similarly talented young tenor Jonathan Hickey soars as eager student Fabrizio, who epitomises the expression of falling head over heels in love. In a masterstroke of authenticity, Fabrizio’s first big ballad “Il Mondo Era Vuoto” is sung entirely in Italian. With no need for subtitles, Hickey deftly conveys all the meaning and passion in the song. Hickey and Kingsford enjoy magnetic chemistry, and their youth serves the story of first love to perfection. 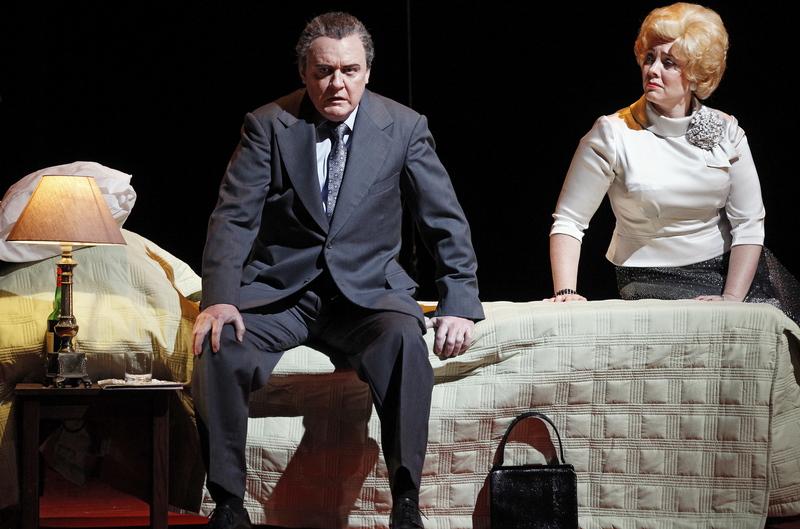 The experienced supporting cast includes Anton Berezin and Johanna Allen as Fabrizio’s parents Signor and Signora Naccarelli. The role gives precious little chance to hear Berezin’s superb singing voice, but he plays the key role with consummate understated flair. 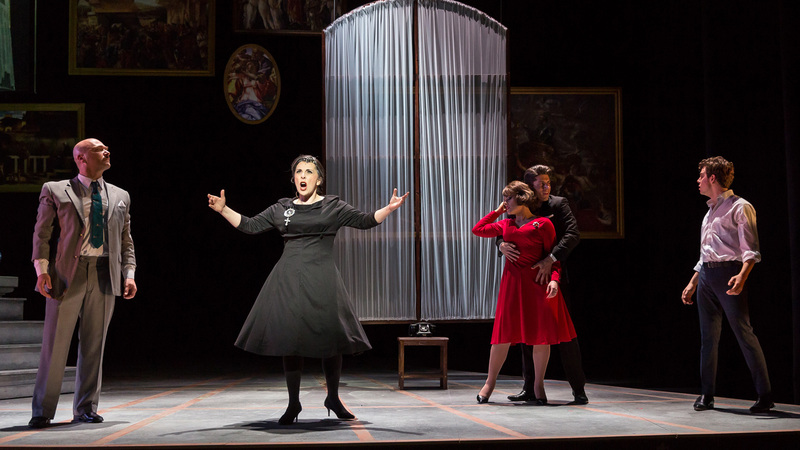 Allen nails the delicious act two opener “Aiutami,” in which Italian-speaking Signora Naccarelli breaks the fourth wall to inform the audience, in perfect English, each of her family members’ inner thoughts. As Fabrizio’s tempestuous brother and sister-in-law Giuseppe and Franca, Josh Piterman and Madison Green bring out a myriad of tiny details that shine light on the ebb and flow of a troubled marriage. Piterman exhibits suave flair as Giuseppe; it is just a shame that the score does not allow us to hear his wonderful tenor. Green shines in the intriguing ballad “The Joy You Feel” as Franca mines her own relationship to pointedly advise Clara on love. Jeremy Stanford neatly establishes an entire character with two brief cameo scenes, playing Margaret’s increasingly insignificant husband Roy, whom she telephones from Italy. Ensemble members Colin Dean, Tobias Madden and Ashleigh Hauschild provide strong support as they play a number of varied background roles. This production is a gift to be cherished. Drop everything to see The Light in the Piazza. 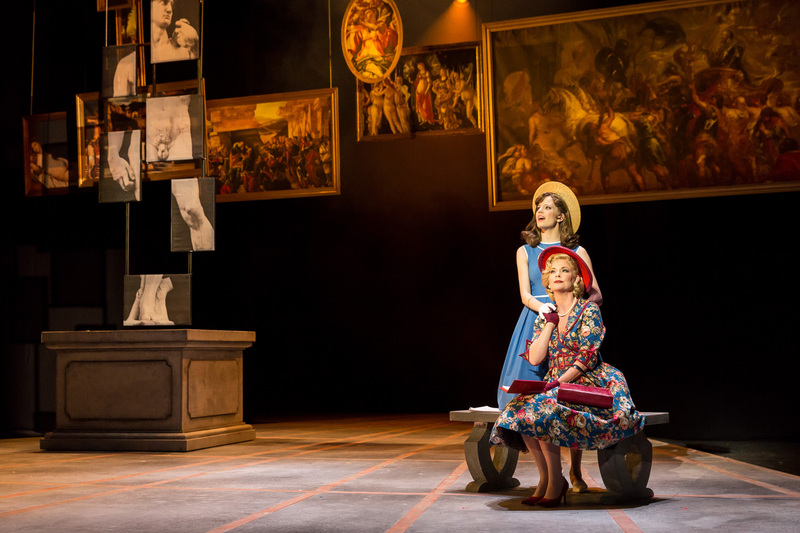 The Light in the Piazza plays at Playhouse, Arts Centre Melbourne until 6 November 2016. Knowing very little about it, I went to the show on the basis of last year’s City of Angels. What an immersive, moving, and romantic show. I loved every moment, and left with a smile on my face. Thank you for your excellent write – up.